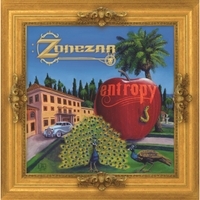 Zonezar is a Long Beach California based psychedelic/fusion jazz progressive rock band. Founded in 2009 by John Flocken AKA Contribution X & Jerome Ivey AKA Bluesy. Music is life, it is the soundtrack to our everyday existence on planet earth & beyond. -To cultivate it naturally and organically in a mystic fashion from out of this flesh & blood is a blessing of the highest order. ZONEZAR would like to personally thank all God’s, human’s & alien beings that have helped us along the way, nothing would have been possible without you and your presence guiding us to the light of positive eternal freedom. © 2019 ZONEZAR. All Rights Reserved. Powered by HostBaby.